Hello and welcome to our blog where we explore the ever-evolving industry of location. We want to take you on a journey of positioning and location insights and specifically, the world of ‘indoors’. This month Blake Bullock looks at the role of indoor positioning in everyday life and how that affects business. Enjoy the read, send us your comments and share with your peers. The mobile advertising industry has gone through massive transformation in the last two decades. Mobile advertising has grown from being an experiment on the nascent digital superhighway to now surpassing all other forms of advertising including print and TV. Now that more people access the Internet via their mobile device than a PC, the shift in digital advertising to mobile has followed. Smart phones with advanced browsers and highly customized mobile apps have powerful media capabilities and a massive audience making them the fastest growing advertising channel today.  With traditional forms of advertising such as print newspapers, magazines or TV ads, advertisers are only able to target audiences at a macro level. For example, to promote health and wellness products, one could place ads in a fitness magazine or on a television show about sports or athletic competition, leveraging what is known about the average audience interests and beliefs. The varying demographics of particular geographic regions play a role in geo targeting since an ad can be distributed to a particular city via a newspaper ad or even a Designated Market Area (DMA) through TV or radio. The emergence of digital advertising enabled targeting to better defined audiences through the use of more precise location measurements such as IP access points and detailed interest data captured through the mobile browser from searches and visited websites using cookies. The practice of re-targeting with an ad based on a previously searched or selected products became possible to allow advertisers to bring interested parties back to reconsider a purchase. General information about income, education, and neighborhood demographics are combined with more detailed data gathered through browsing history and shopping baskets. Marketers use this data to sort consumers into ‘personas’ that represent groups of individuals with similar key characteristics that signal purchase intent. This level of knowledge about a consumer is powerful and dangerous if abused. Besides the privacy concerns, a brand risks alienating consumers with too much advertising or re-targeting. Who wants to see repeated ads of the dog food that you browsed last week? It has become important for advertisers to cultivate a dialogue with consumers and add value to their knowledge journey. Many digital advertising tools have emerged to support these practices and deliver more sophisticated ads to consumers. The presence of a mobile browser in the pocket or purse of every consumer has made targeting and re-targeting even more powerful and more dangerous. A consumer’s tastes, hobbies, and purchase interests are more evident through the apps and shopping tools used. Mobile phones have the ability to determine precise location, which offers additional detail about where consumers go and where they are in a specific moment. Seeing that a device is entering a Taco Bell or a Chevy dealer sends very strong and different signals about purchase intent. When a mobile advertiser places an ad targeted to a particular persona group or a set of individual devices based on recent locations, they are interested in being able to measure the effectiveness of that ad. The first measure is whether the ad was viewed and then secondly if any action was taken such as a click to browse more information or make an online purchase. 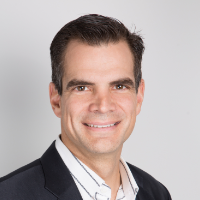 An even more powerful measure for physical retailers is to know if the targeted device visited the advertised retail location and if they made a transaction. Such store visit confirmation data helps marketers to gauge response and execute more effective ad campaigns. Location data is a key element for accurate context detection, persona development, targeting, re-targeting, and store visit confirmations. The availability of GPS location on mobile devices has made these marketing practices possible on a large scale, which is important to be able to have sufficient audience sizes for ad campaigns. However, there are still many locations where location data is not available. When devices are used indoors, the GPS position data may not be available due to signal blockage from concrete and steel causing a black spot in the coverage area. Shopping malls, airports, train stations, conference centers, hotel resorts, museums, and other large public spaces are vulnerable to GPS black spots and hence mobile marketing is hindered. Knowing that a device is visiting The Gap and not Footlocker makes a big difference in the persona definition and also the current activity context. 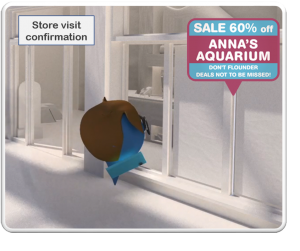 Without accurate positioning inside a shopping mall, it is also difficult to confirm store visits correctly. The need for accurate indoor positioning data for mobile marketing is clear. sensewhere’s mobile phone positioning solution offers accurate location data for mobile devices on a broad scale with coverage in virtually every visited indoor space. The automatic crowdsourcing expands the coverage area to include every indoor space where users go with no additional infrastructure to deploy or calibrate and then continuously updates the coverage area over time. The sensewhere mobile SDK delivers latitude, longitude, and altitude information that is used to determine the venue and location within. 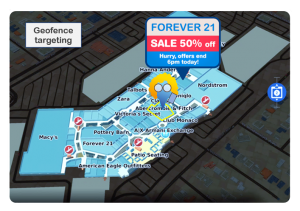 Geofences are used to trigger actions and detect store visits when desired. Positioning can be done in background mode with very low power consumption for the effective development of personas based on indoor and outdoor locations visited. The addition of accurate indoor location signals throughout indoor spaces empowers advertisers and marketers with the insights they need to deliver more relevant and valuable offers to consumers and subsequently increase advertising ROI. For more insightful pieces from our expert heads at sensewhere follow us and keep your eyes peeled!